The ladies Khukuri is also known as Khurmi. 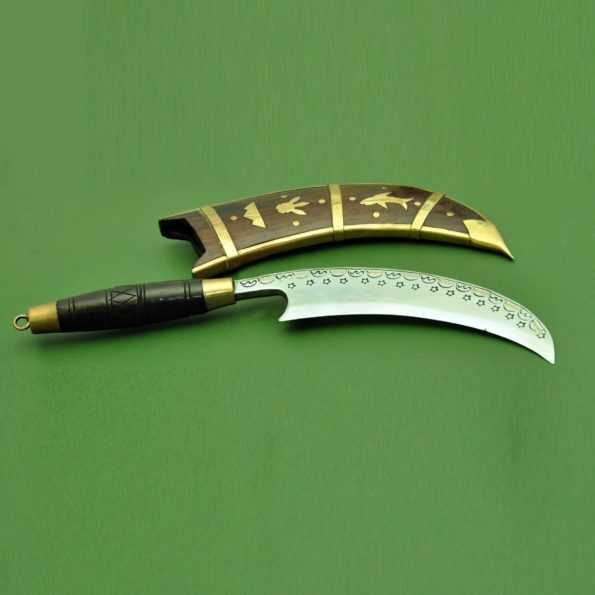 It is slightly different than the normal kukri , the blade is different than a traditional kukri and there are markings on both side of the blade, making it an engraved Kukrii. This Kukri is famous amongst the Ladies, and has been in use in Nepal for a long time. This Kukri can cut through bones and woods. The blade is made up of Highly graded Carbon steel (Car and jeep leaf spring 5160). The handle is from rosewood which is glued together with Nepali glue called Laha. The scabbard is rosewood fused with pinewood. Blade Size and Type: 8.5 Inch and unpolished blade,Handmade. Handle Size: 6 Inch and Fixed blade handle. 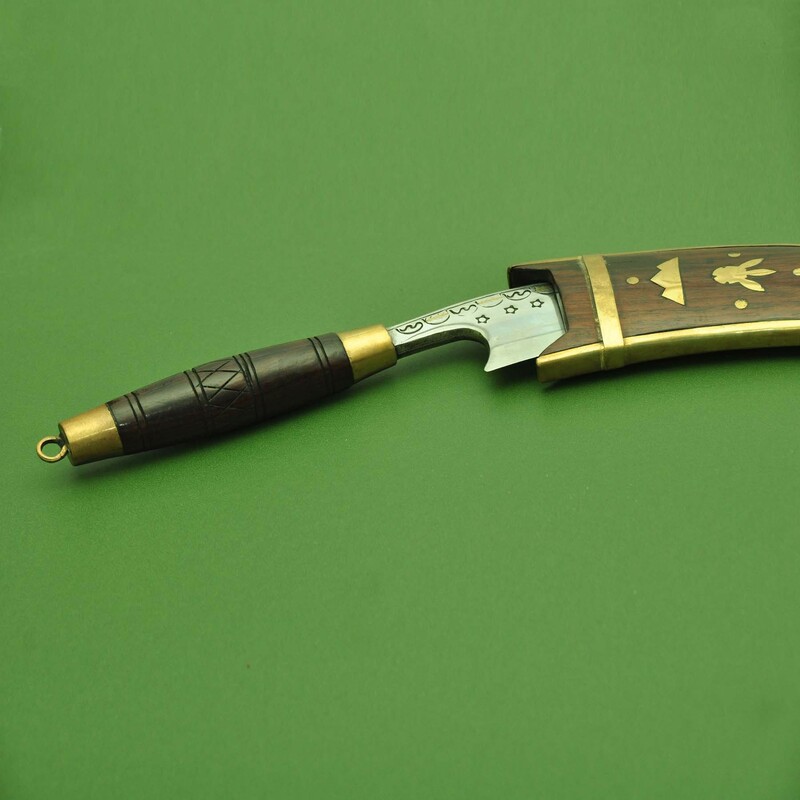 Material Used: Highly Graded Carbon Steel(car & jeep leaf spring,5160)for blade.Indian rosewood for the handle,Pinewood for Scabbard (inside),Brass and “Laha”(Nepali Traditional Glue). Weight: 505 gms( 18 Oz Approx).